American prisoners at Karlsruhe, Germany. 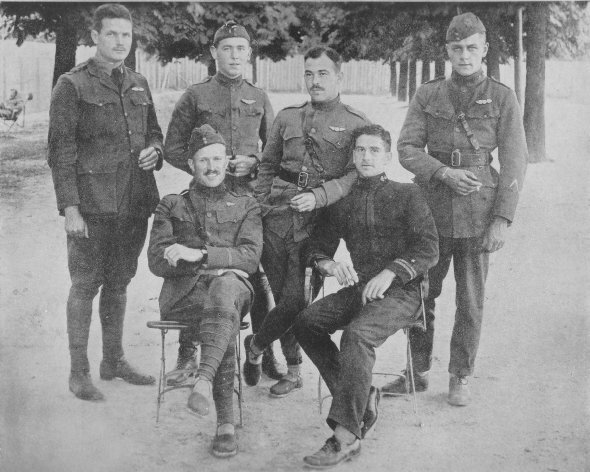 Seated at the right is Lt. E. V. M. Isaacs. He made 7 attempts to escape before succeeding, by cutting through wire in the face of rifle fire, traveling 7 nights through the mountains and swimming the Rhine to bring information to the Navy.